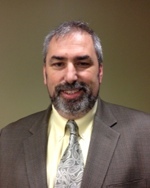 Bob Johnson is an IT professional with over 25 years of experience in both higher education and the private sector. Having directed efforts for universities such as Hofstra University, University of New Hampshire, Dartmouth College, and Duke University, he has experience in the transformation of both the business and technical aspects of information technology. With demonstrated expertise in the areas of networking, data centers, classroom technologies, security, physical infrastructure, unified communications, and RF technologies (cell and radio), he is a recognized global leader in convergence efforts. Mr. Johnson’s focus is on positioning the correct technologies to forward an institution’s business needs and maximize resources in doing so. In addition, he has experience in realigning technical staff and establishing funding and cost recovery models to ensure these efforts are sustainable and right sized. He has an A.A. degree in liberal arts from the State University of New York at Farmingdale and a B.A. degree in economics from SUNY Stony Brook.